Embracing solar energy is a theme that has been building speed across various states and countries around the world. While green technology is always adapting, the most opportune time to take initiative in creating a green infrastructure is now — especially when it has the economics to back it up. Some cities continue to put off the transition on the chance that something new will occur, but the truth is that very few changes have happened in solar technology for years. States are getting more availability and opportunities for funding when it comes to switching to renewable energy. Saluda, S.C., was able to utilize the ConserFund, a loan program through the South Carolina Energy Office that assists with “energy-efficiency improvements in state agencies, public colleges or universities, school districts and local governments.” The ConserFund began 20 years ago, allowing four to five governments to take advantage of it along with nonprofits. 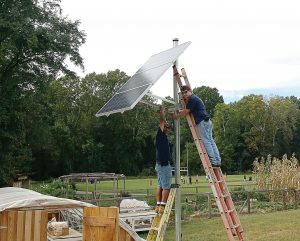 Charlottesville, Va., received the SolSmart Bronze award from the SolSmart program, a national designation program that helps communities break through local barriers and create strong local solar markets. SolSmart is funded by the U.S. Department of Energy Sun-Shot. The program provides no-cost technical assistance for eligible communities and presents awards when cities reach their goals. There is also a nonprofit organization that travels around Virginia called Local Energy Alliance Program. LEAP runs campaigns to reach out to communities and teach them about solar power and how affordable it is; it also gives advice when it comes to quality products and best installation techniques. This kind of organization is great for municipalities who have goals to make the community itself more invested in renewable energy. Municipalities who are considering implementing solar power should look into state and federal resources to see what grant and loan options are available for their area. With the changing times, there are also incentives for city upgrades that can contribute to the green goal. 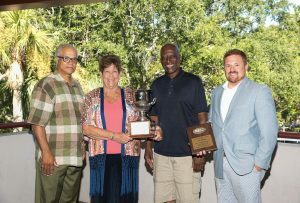 Saluda was presented with the Municipal Achievement Award in July 2017 by the Municipal Association of South Carolina for its initiative solar power projects. When Saluda decided to take action, it was with the backup of thorough research and observation of similar communities. With a national buzz surrounding solar energy, it caused them to start questioning if it was right for them in residential, commercial or both? Municipal buildings have solar paneling installed on them, allowing residents see them whenever they visit to pay a bill. By seeing them, it prompts questions and curiosity, which could spark a domino effect of residents buying in to the concept and adding solar panels onto their own homes. 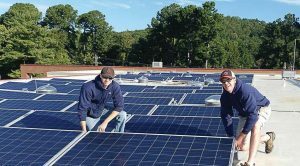 Charlottesville did a solar project on the local high school with help from a grant, which led to certifying its own staff rather than hiring a contractor. 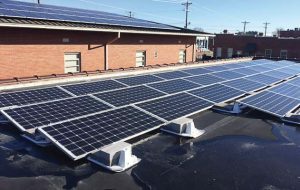 With the staff becoming certified for the installation, Charlottesville saw that not only was it cheaper, but that it was able to double the size of the solar system on the school. When to take action for a vibrant future Solar systems do require some foresight. For instance, is there a lot of shade? While solar energy can be absorbed during an overcast day, thanks to UV rays, having a lot of tree overgrowth could block any chance of generating renewable energy. Another factor for success is to make sure you choose a company that has a proven track record and is experienced with similar projects. One of the future plans for Saluda includes extending solar power to businesses, which will further benefit the community. Since University of Virginia rests in Charlottesville, there is a high rental population, which can make the inclusion of solar power for all people more difficult. 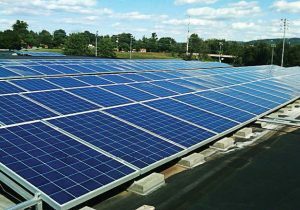 Green leasing would help bridge the gap between the property owner and the tenants by incorporating solar energy into the leasing, which would benefit both parties. Since it isn’t an idea that is very well known, it will take time for familiarity and comfortability to grow, but it is a route that has already been taken by commercial property owners.